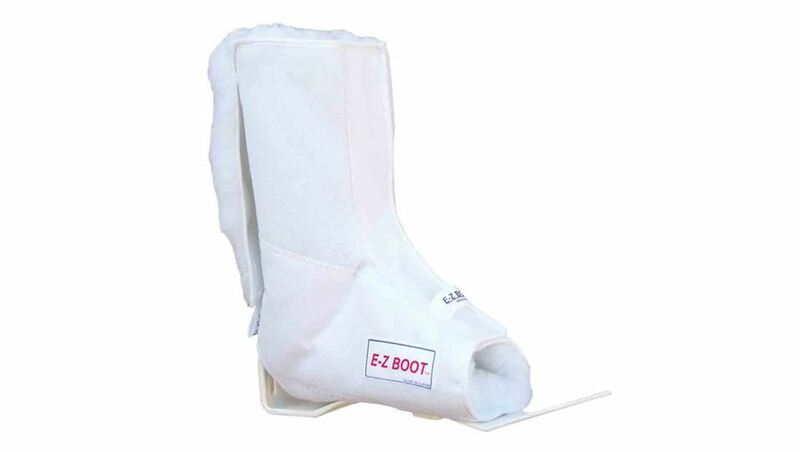 E-Z Boot™ eliminates pressure on the heel for treatment and prevention of heel pressure injuries. Also treats plantar flexion contractures and foot drop. Easy to don/doff one-piece fleece liner. Rotator bar and toe post included. 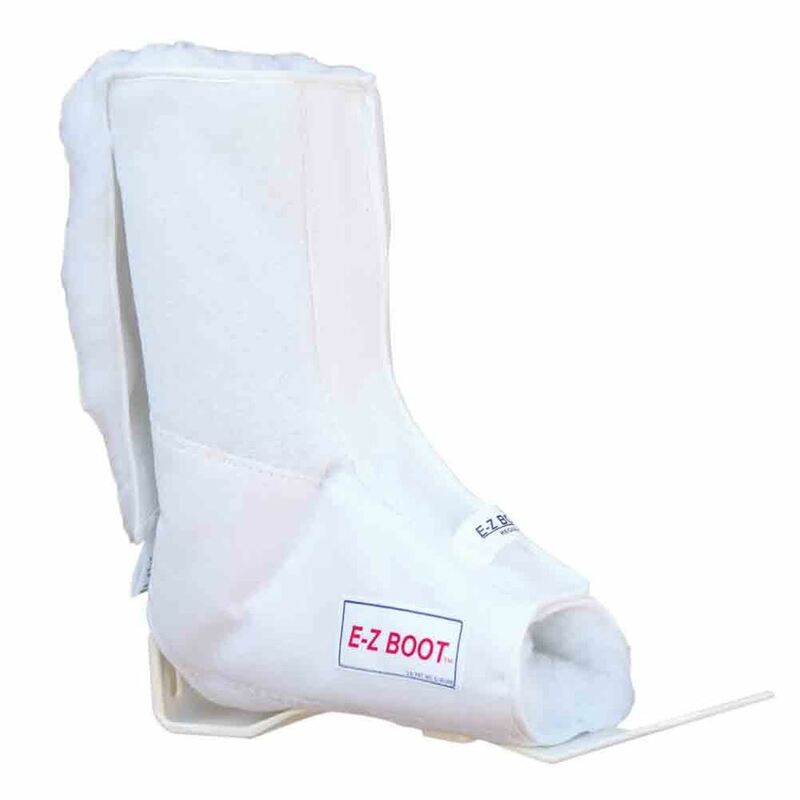 A cast boot may be easily attached for transfer/ambulation. Sizing: Measure calf circumference 11" above the heel.